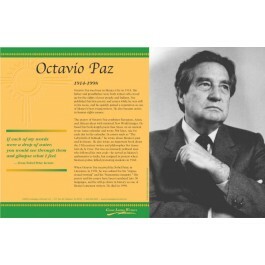 This language arts poster of author Octavio Paz is one of a series that focuses on great Latino writers. 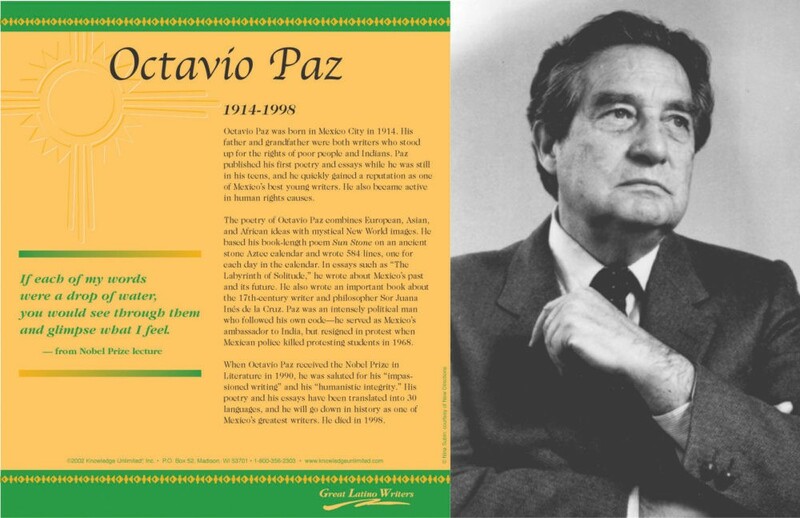 Born in Mexico, Octavio Paz combines European, Asian, and African ideas with mystical New World images in his poetry. He received the Nobel Prize in Literature in 1990. The poster features a photo of Octavio Paz, biographical text, and an excerpt from his poem, "San Ildefonso nocturne." The quote reads: "Poetry, like history, is made; poetry, like truth, is seen."